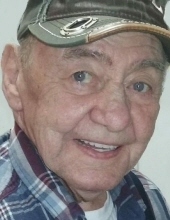 “Bob”, Carl Robert Mingee, 81, ascended to his Heavenly home on March 31, 2019. Precedented in death by his father, Carl Elijah; mother, Lucille Cooper; and his three loving wives, Louise, Lucille, and Lafern “Pat” and his sons, Michael, Philip, and Roy. He is survived by 9 children, Glenda Crawford (Washington), Angela Schneider (Iowa), Veronica Cooper (Idaho), Debbie Dickinson (Iowa), Dee Oldham (Idaho), Leandra Karamas (Kentucky), Joe Mingee (Kentucky), John Mingee (Florida), Charles Morgan (Kentucky). He also has 26 grandchildren, 29 great grandchildren and cousin, Leroy Mingee (Ohio). Although his children reside from the Atlantic to the Pacific, anyone who spent much time with him, quickly learned he “loved all his kids” and never tired of hearing the words “Daddy, Pop Pop, Dad, Pops, or Buddy”. His kindness and humor often extended to many as he believed there was always room for one more. Bob was widely and affectionately known as the “Best Baker/Cook in Maysville” by many who regularly feasted on his baked delicacies or sat around his table enjoying his home-cooked meals. Bob retired (2007) from Crounse Corp. much to the disappointment of his co-workers who loved him as much as they loved his hearty meals. And while the loss seems almost unbearable, with a high thumbs up and a determined fist pump, he reiterated his love and assured them all that he would “…keep a light on for you” as he waits to reunite with them someday! Visitation will be Thursday, April 4th at 5:00-7:00 p.m. followed by Funeral services on Friday, April 5th at 11:00 a.m. at Brell & Son Funeral Home in Maysville. In lieu of flowers, donations can be made to the Hospice of Hope in Maysville in his memory. We miss you Daddy!!!! Keep the light on for us!!! We will see you again. To send flowers or a remembrance gift to the family of Carl Robert "Bob" Mingee, please visit our Tribute Store. "Email Address" would like to share the life celebration of Carl Robert "Bob" Mingee. Click on the "link" to go to share a favorite memory or leave a condolence message for the family.